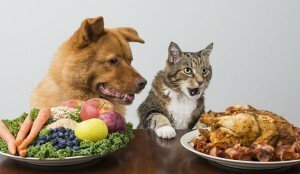 Is It Healthy For Cats & Dogs To Be Vegetarian? Millions of vegetarians live in the United States. Many people wonder if their cat or dog should go vegetarian too. It's important to be educated on the topic.